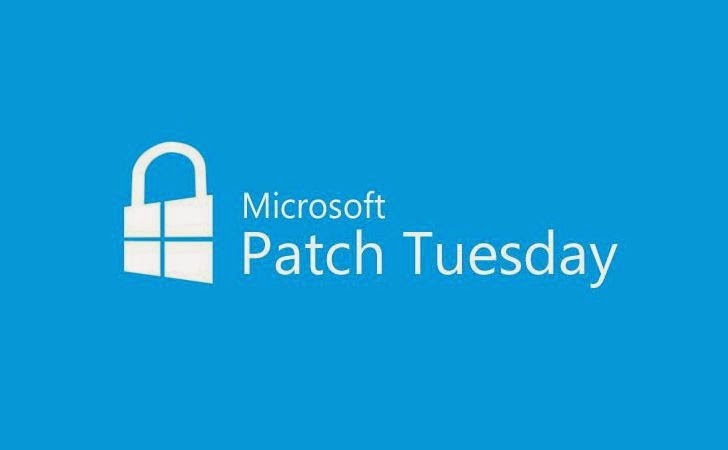 Today Microsoft has released its Advance Notification for the month of August 2014 Patch Tuesday Updates releasing a total of nine security Bulletins, which will address several vulnerabilities in its products, out of which two are marked critical and rest are important in severity. The latest updates, which is set to arrive on August 12, will address two critical bugs affect Internet Explorer and Windows with seven other issues rated as important. The vulnerabilities in the company’s products range from remote code execution to protection bypasses. Both of the critical fixes will address remote-code execution flaws. The critical Windows update affects only business and professional editions of Windows 7 and Windows 8. Whereas, the Internet Explorer update affects all versions of Windows on all supported platforms. The remaining seven updates affect its various products, including Windows, Office, SQL Server, the .NET Framework and SharePoint Server 2013. There will be no critical bulletins for Windows Server this month, also the IE patch is considered a moderate risk for servers. However, several bulletins are rated 'important' and should be updated with the patch. The Tuesday Update will also addresses a remote-code execution vulnerability in Microsoft Office, rated as ‘important’, and an elevation of privilege vulnerability in SQL Server. The company will also fix Microsoft Server Software for another elevation of privilege vulnerability. Rest three bulletins will address a pair of elevation of privilege vulnerabilities and a security bypass vulnerability in Windows. Earlier this week, Microsoft also announced that the company will release a change to its Internet Explorer on Update Tuesday that will block old and out-of-date ActiveX controls. It will warn users when the browser attempts to load an out-dated ActiveX controls. Initially, the list will contain only old Java versions. Note: Microsoft will not release any security update for its older version of Windows XP, as it stopped supporting Windows XP Operating System. So, if you are still running this older version of operating system on your PCs, we again advise you to move on to other operating system in order to receive updates and secure yourself from upcoming threats.